Happy Bank Holiday everyone! I hope everyone’s day is going well so far! I’ll be at work when this post is made live on my blog, but by the time I get home I’ll have met my boyfriend at work and be cooking us dinner and having some much-needed cuddle time after not seeing each other for over a week. Which believe you and me, has sucked! 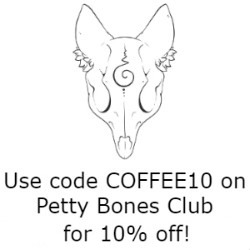 But anyway, another week, another tag! I really enjoy doing tags, they’re so enjoyable to read so even more enjoyable to join in on too. After reading Maliberry’s 8 Most Worn Things on Friday I decided I would give it a go myself after she tagged anyone who read her post. 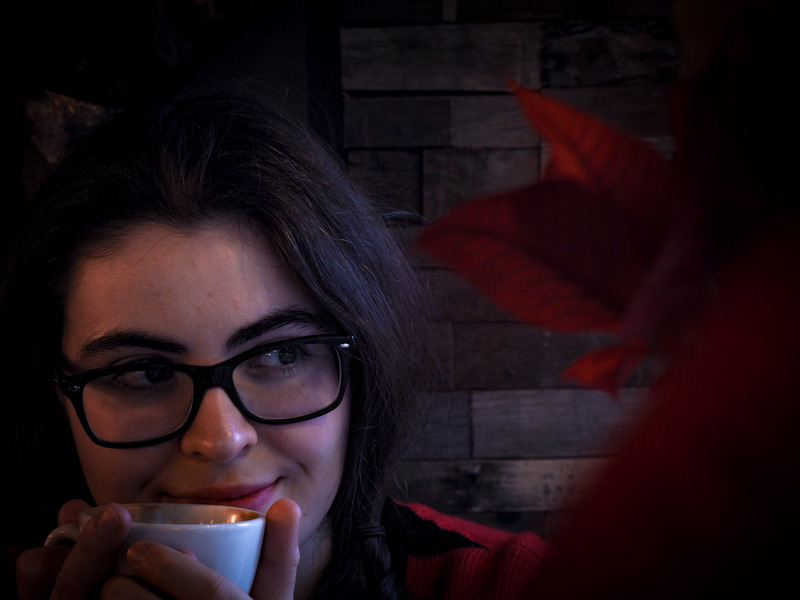 Go and check out Mali’s blog, she’s a wonderful person and an amazing beauty blogger. 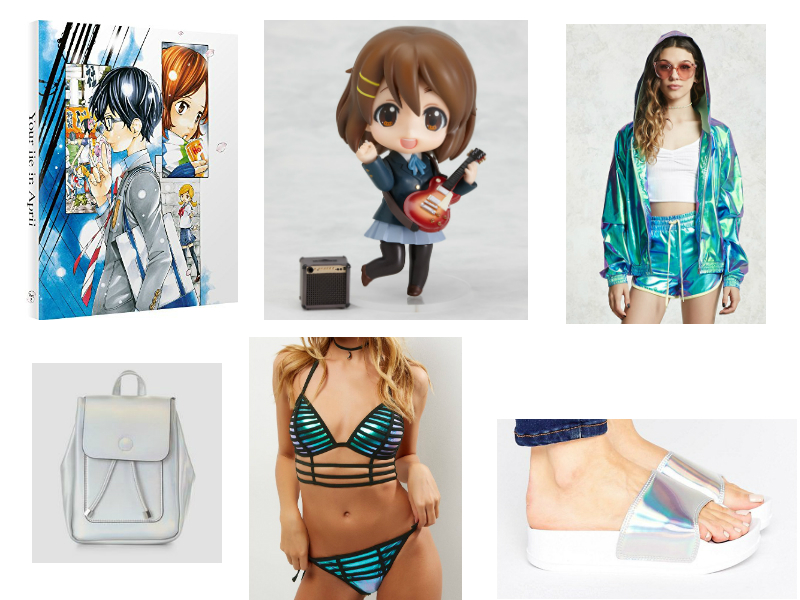 It was really hard to try and answer some of these tags as I couldn’t pick one item for the majority, but the more the merrier eh? 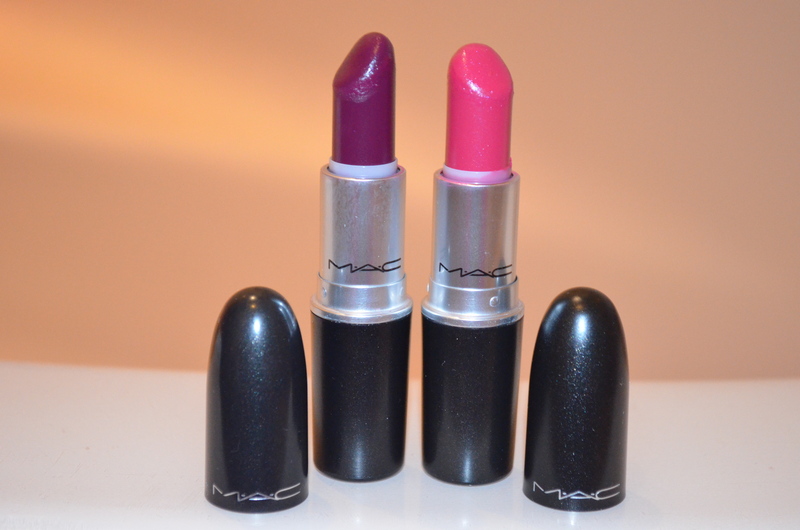 I couldn’t pick one lipstick, no matter how hard I tried to pick between these two I just couldn’t decide. When it comes to autumn and winter I just use both on and off over the course of each week. These are my two favourite lipsticks and depending on what I’m wearing, where I’m going etc will depend with one I reach for to wear, whether it be day or night. FYI reviews for both of these are scheduled for this Thursday and next. Once again, I couldn’t pick one and I ended up having two choices for this question. These are both 30ml bottles so I usually throw these into my handbag whenever I’m going to work, a night out or over to my boyfriends for the weekend. The less I have to carry in my weekend bag when I stay over, the better! I love Freak, it smells like nothing I have ever smelt before and as soon as this bottle runs out I’ll be buying another one. My Mom bought me Loverdose as a Christmas present years ago and I’m only coming towards the end of it now. 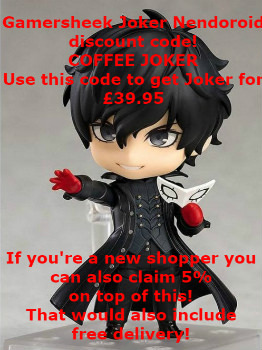 I nearly bought a 50ml bottle when it was on offer in Boots, but I didn’t have enough money and had to leave it. As soon as I have spare cash I’ll be repurchasing it. 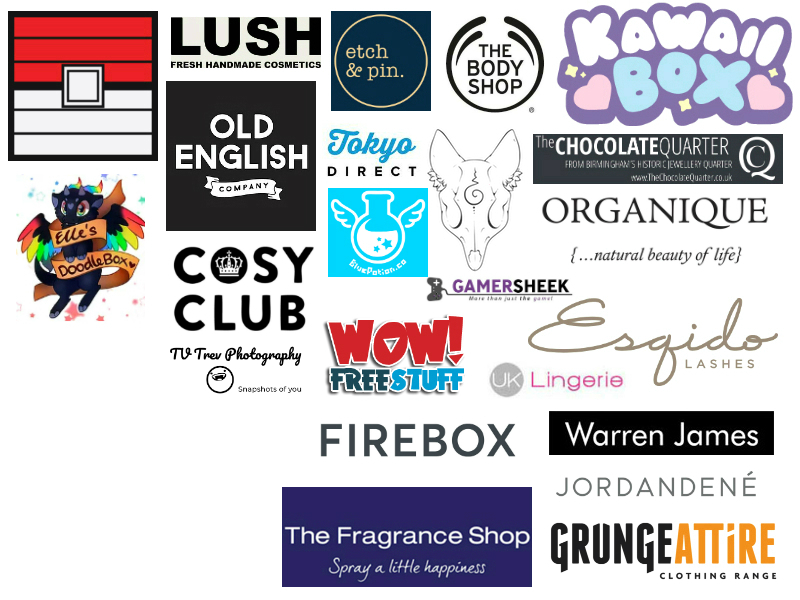 It smells really unique too. Both these perfumes are great to use throughout the entire year whether it be day or night. 3. Most worn nail polish? 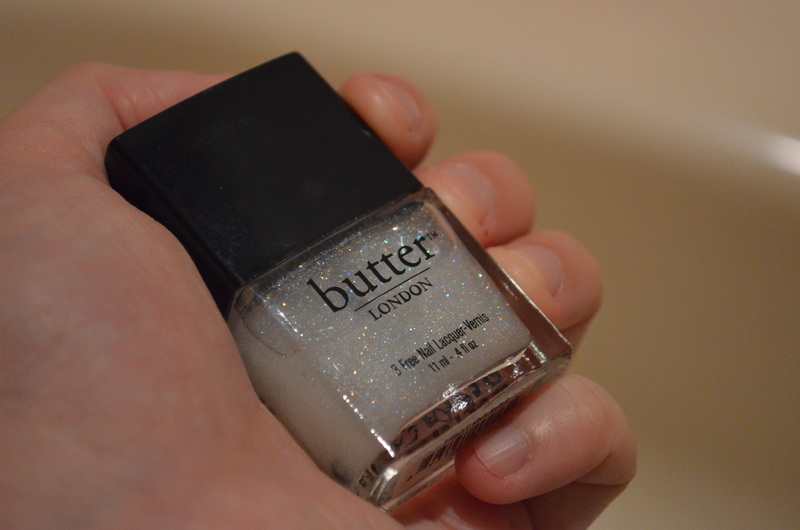 Frilly Knickers by Butter London. This is by far my favourite and most used since my Mom bought it me in May. It looks lovely on its own as well as applied over darker colours. It dries matte so I often use this over nail print designs so that they dry quickly and look nice at the same time. I love this polish so much, I’m going to paint my nails with it later today me thinks. 4. Most worn hair product? Left: Head & Shoulders Citrus Fresh. Middle: Philosophy Summer Grace Shampoo, Bath & Shower Gel. Right: Liz Earle Botanical Shine Conditioner. I don’t really use products on my hair and whenever I have I’ve fast regretted it. I don’t use dry shampoo as it annoys me how it is pretty much talcum powder and gets everywhere! Plus I don’t really straighten my hair or design it in any way so I don’t really use gel or hair spray. 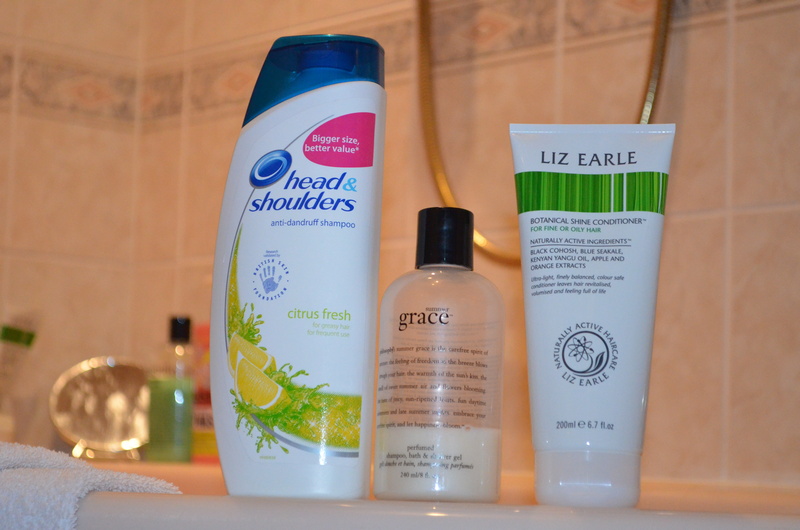 I just wash my hair with Head & Shoulders to get any dirt and dandruff out, then wash with a nice shampoo, which is currently Summer Grace until I have money to buy some nice shampoo and finally my Liz Earle conditioner, which I love! It makes my hair so lovely and soft. 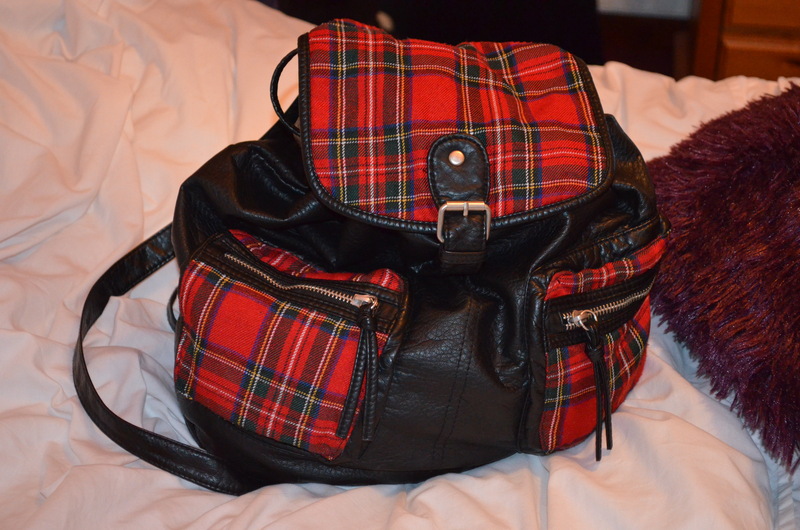 Front of tartan backpack from New Look. 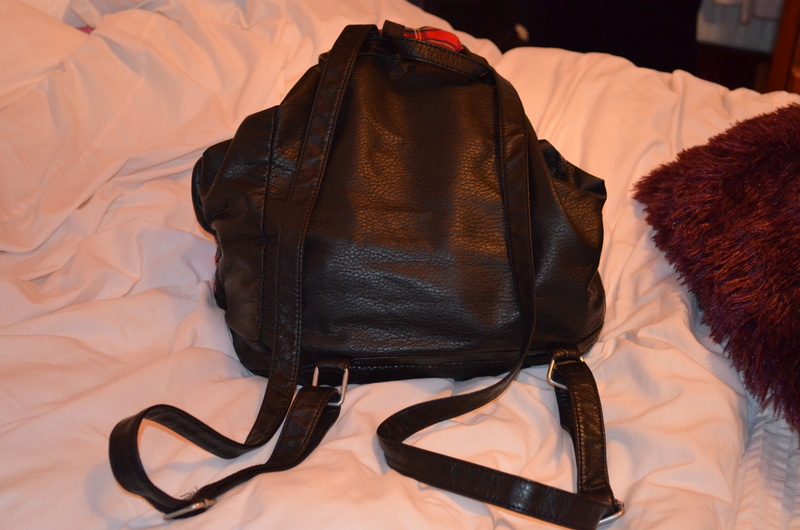 Back of tartan backpack from New Look. Closed red heart locket necklace. 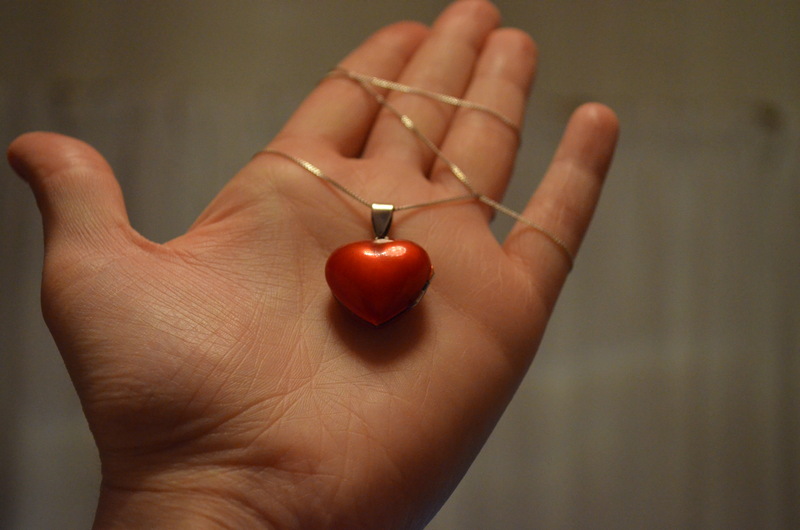 Open red heart locket necklace. 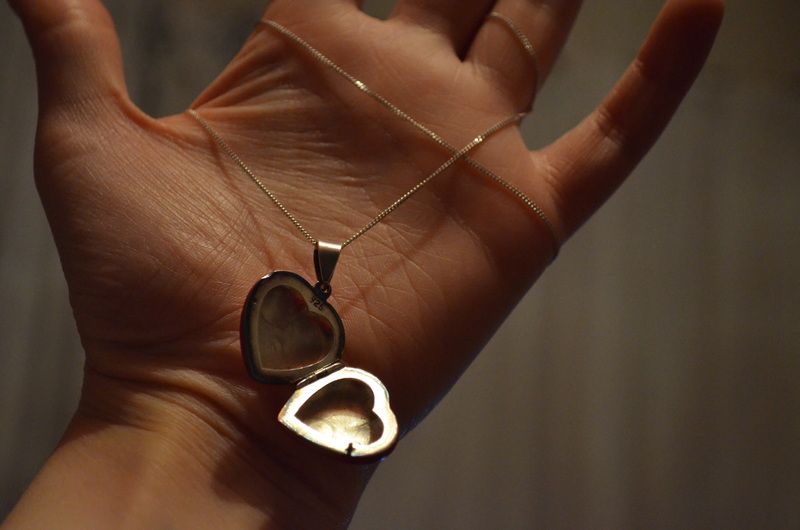 My Mom bought me this locket back in 2009/2010 and it’s one of the nicest things she could have bought me. It didn’t cost a lot but it’s the thought that counted. We were in Argos when she was buying herself something, she could see I was looking at the necklaces and said, “Nat you don’t have any proper jewellery do you?” to which I shook my head and she asked which necklace I would like, to which she bought me this locket. Still to this day I haven’t put any pictures inside of it and I don’t really have a reason why. Whenever I wear this I get such lovely compliments and it always makes me think of my Mom. 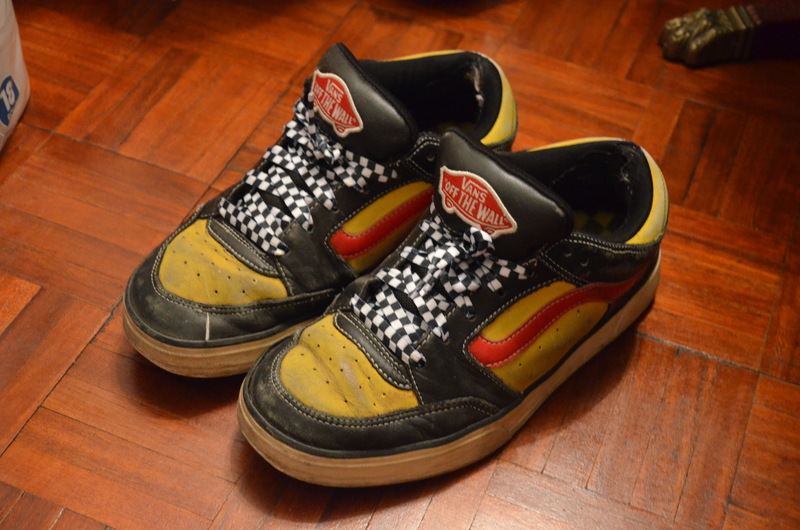 Yellow, red and black skate shoes by Vans. Checkered black & white laces by Vans. Brothel creepers from Shoe Zone. Triumph 12 Eyelet Leather Boots by Dr Martens. I’m sorry but I just couldn’t wear one pair of shoes, I just couldn’t! I wear a different pair all the time. 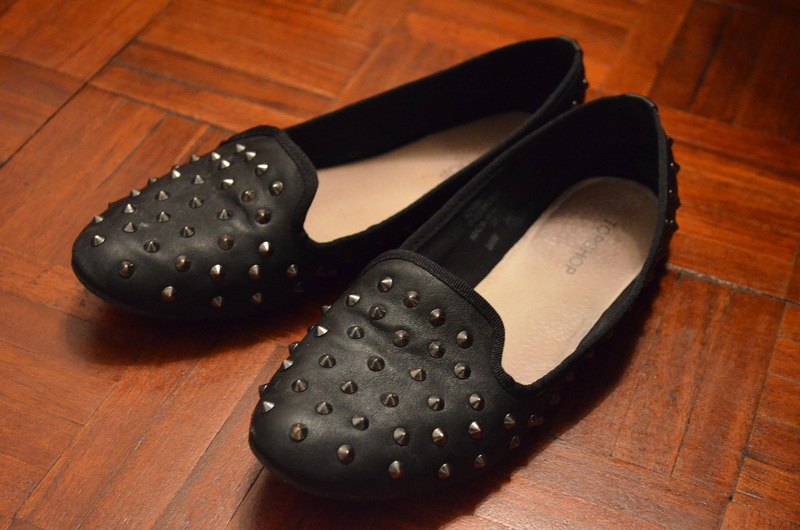 I bought my Topshop flats at the start of 2012 but never started to wear them until spring this year. They’re the most wonderful shoes and I doubt I’ll wear them as much in the autumn and winter time. My Vans skate shoes are the oldest shoes I own and I bought them when I was 16 years old, so they’re seven years old and still to this day they’re pretty much my favourite shoes. If I could wear them for work, my life would be complete! They’re just so damn comfortable and have never let me down during the winter time when it’s icy. 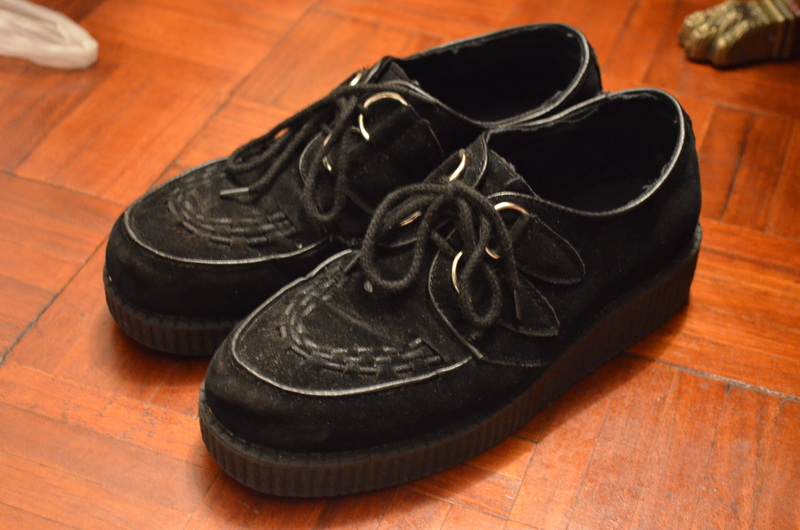 My creepers are great and out of all the pairs here were the cheapest. I don’t wear these as much as I used to but I know as autumn and winter comes along these will replace my flats. This my second pair of creepers as my first pair got massive holes in the bottoms. Finally my Dr Martens. I’ve owned these over a year now and they’re also my favourite shoes. If you check out how they used to look when I first bought them, you’ll see how well-worn they’ve grown over the year. I’ve worn these in spring, summer, autumn, winter, to Stratford Upon Avon, to Coventry, to Wolverhampton, to Cheltenham and in pretty much every club in Birmingham. 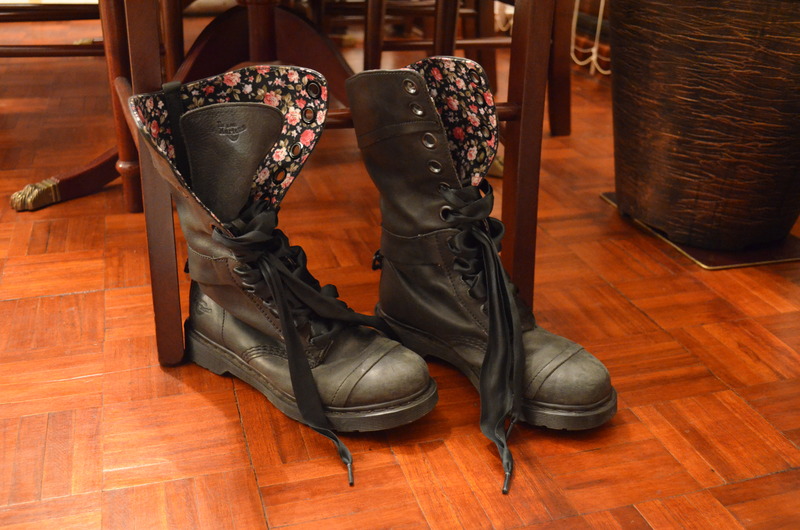 I love these boots so much and will wear them lots throughout autumn and winter. Black poodle t-shirt by Altru. 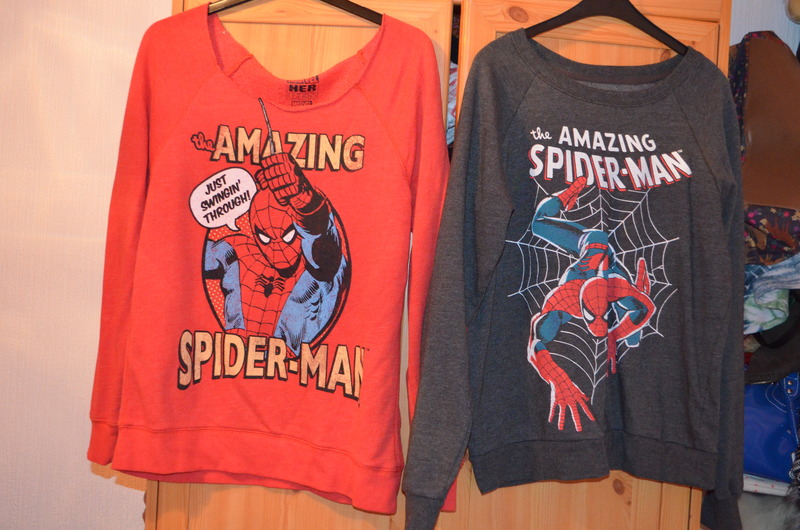 The Amazing Spider-Man sweatshirts both from Forever 21. I actually have five shirts altogether but I cut out two from being in this post due to realising I don’t wear them all as much as I do with these three. 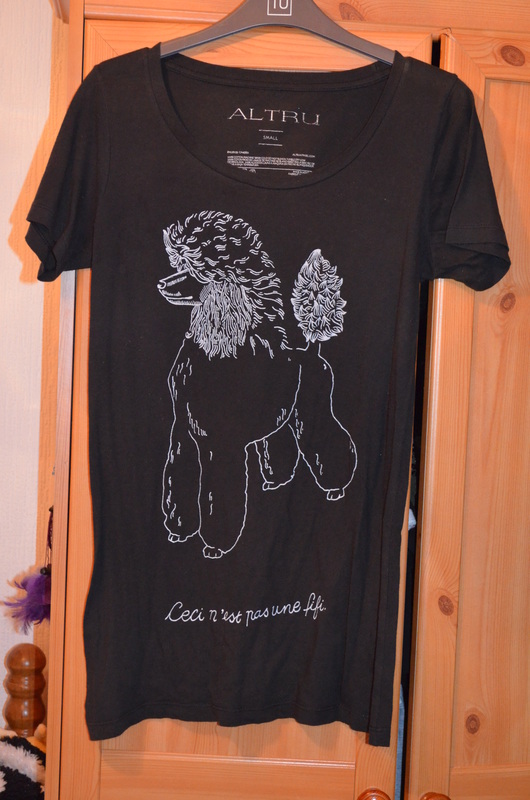 I bought my poodle t-shirt back in 2009/2010 from Urban Outfitters during one of their sales. I wore it to university all the time and also on nights out. One afternoon it wasn’t traceable anywhere in the house and it upset me that I could have lost one of my favourite t-shirts. Two days later still with no luck of finding it I purchased another, only to arrive at home to my Mom saying, “Nat I found that t-shirt, it was inside a pillowcase!” but I never returned the second t-shirt so now I have two of them. That t-shirt is also slightly famous, it features on an advert that I’m in for the university that I attended, which is pretty cool. So we have come to the end of my 8 most work things and thus the end of this tag. I really enjoyed doing it and I tag ALL OF YOU to do it too! 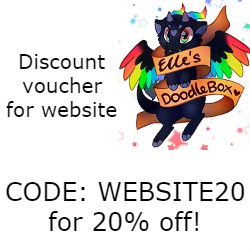 Please link your blog down below if you do it, I’d love to see your answers to the questions. Hope you enjoyed this post and I also hope your bank holiday is going well. Until next time, take care all and have a great day!